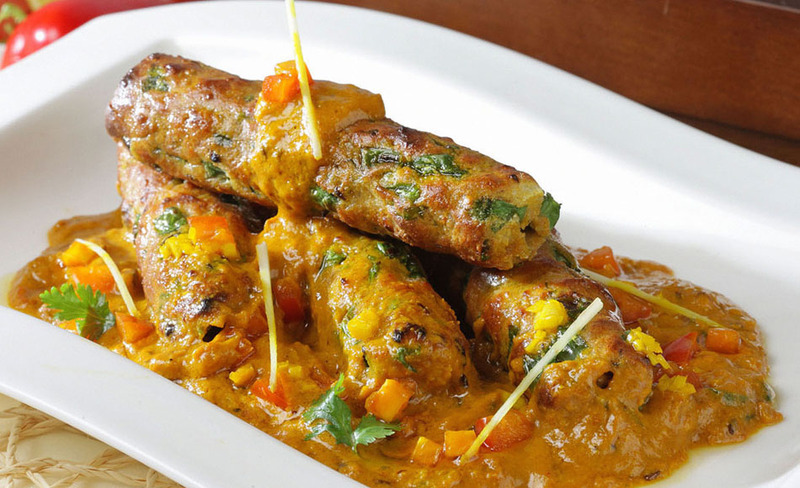 A dish made of reshmi kabab laced with a gravy made of cashewnut cream and butter mildly spiced. 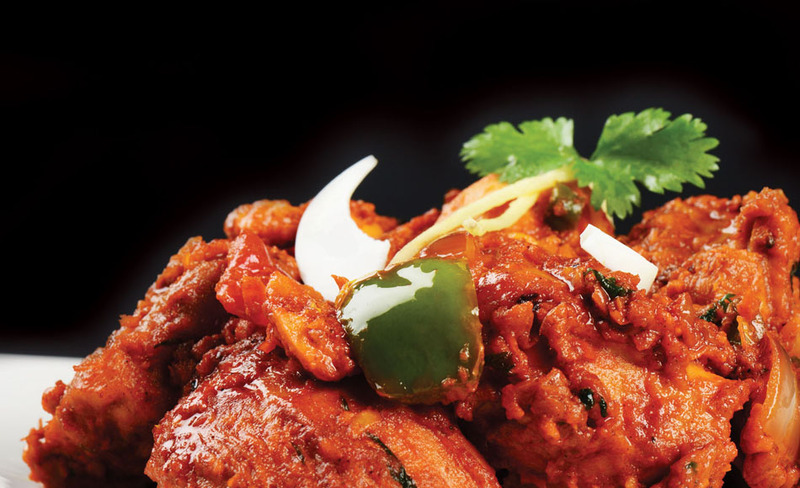 Drumsticks of chicken cooked in our in-house dum masala. 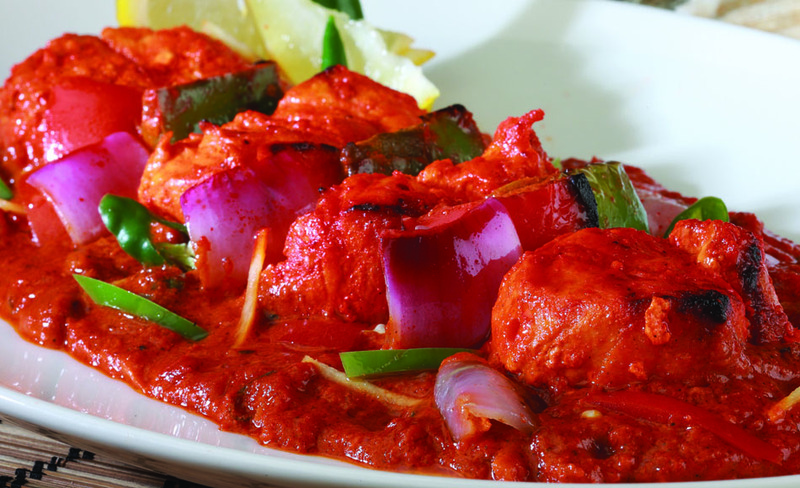 Tantalizing grilled chicken tikka pieces simmered in mildly spiced tomato gravy. 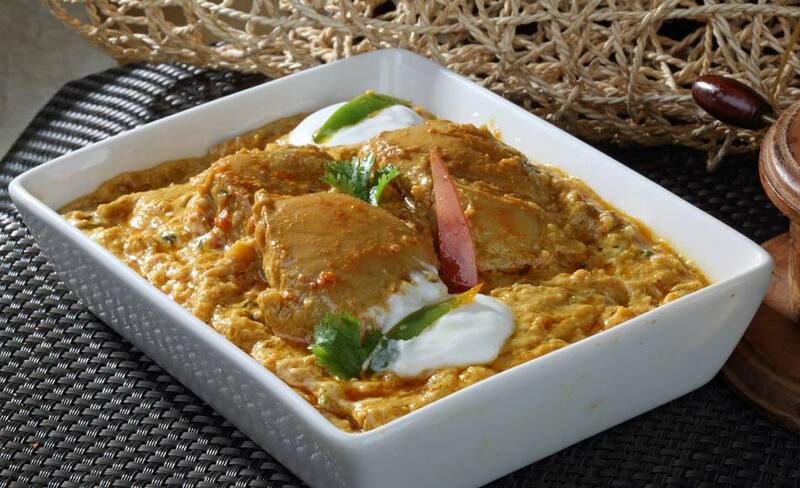 Smooth creamy and refined curry made of chicken, yoghurt, fresh cream and paste of watermelon and muskmelon seeds along with spices. Chicken cubes napped in garlic tempered spinach flavoured with cinnamon and nutmeg. 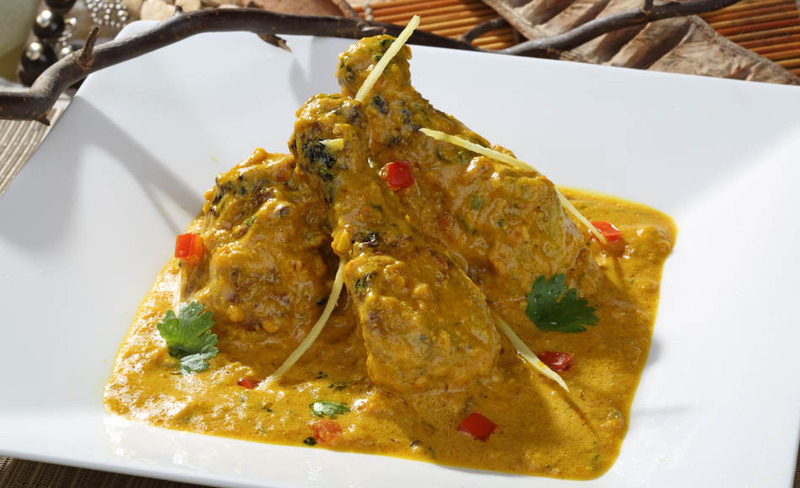 A gentle semi dry white chicken dish that captures the flavour of cardamom and clove in a mild yoghurt soured sauce. 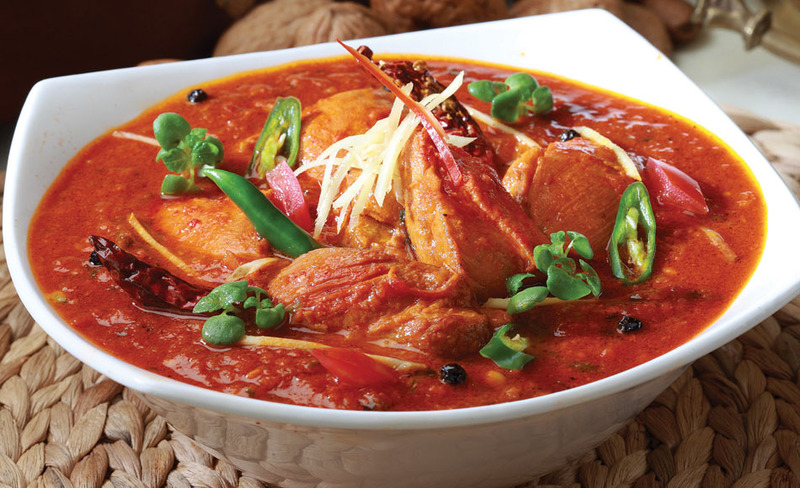 Piquant aromatic and pickle like dish of chicken cooked in pickled spices and flavoured with red chillies. 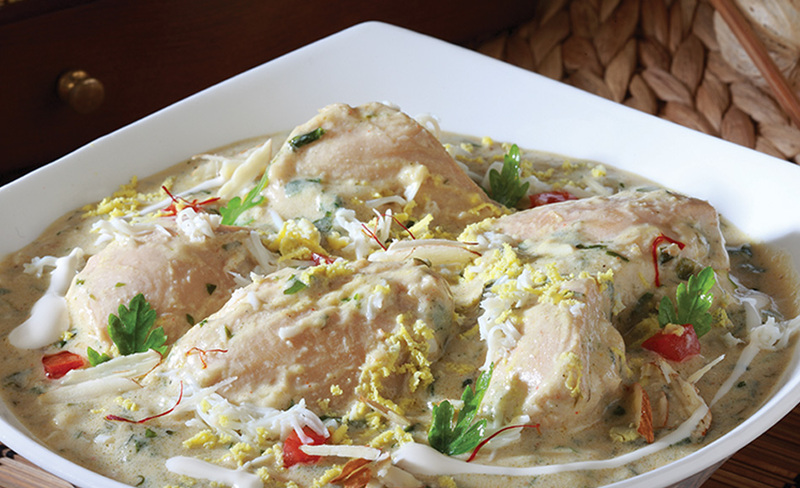 A dish of chicken delicately flavoured with fenugreek herbs in a rich creamy cashewnut gravy. 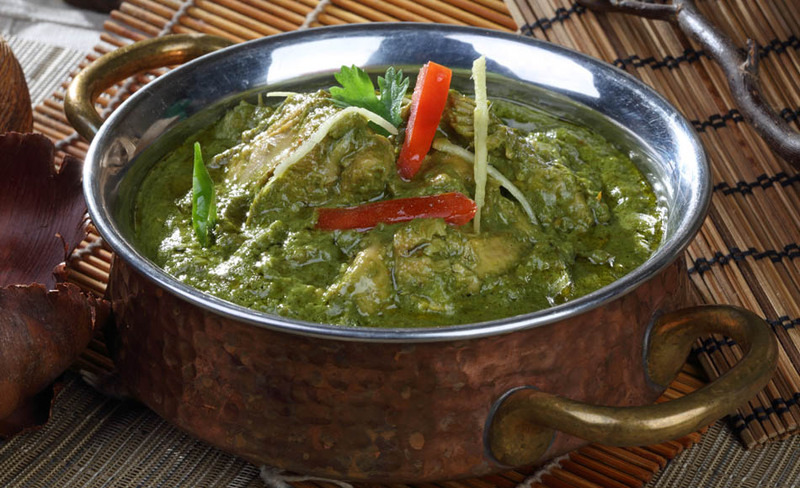 Juicy chunks of chicken in a medium spiced gravy made of onion, cashew, coriander and spinach. A typical north frontier kadai preparation. 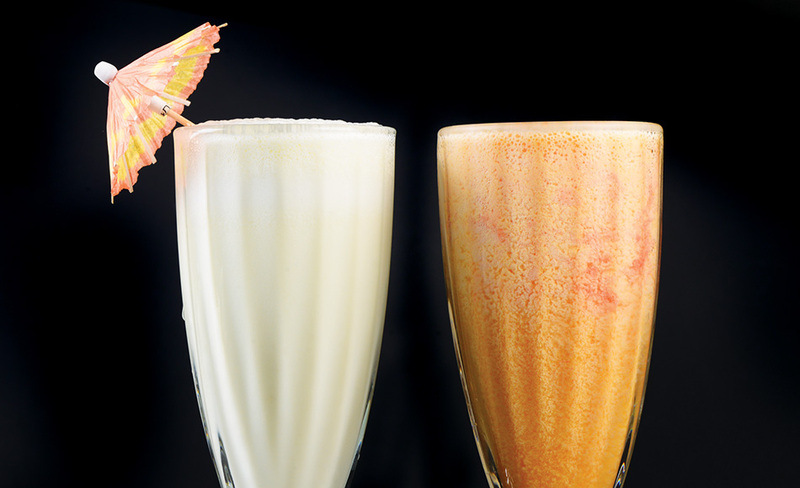 - A speciality of the chef. 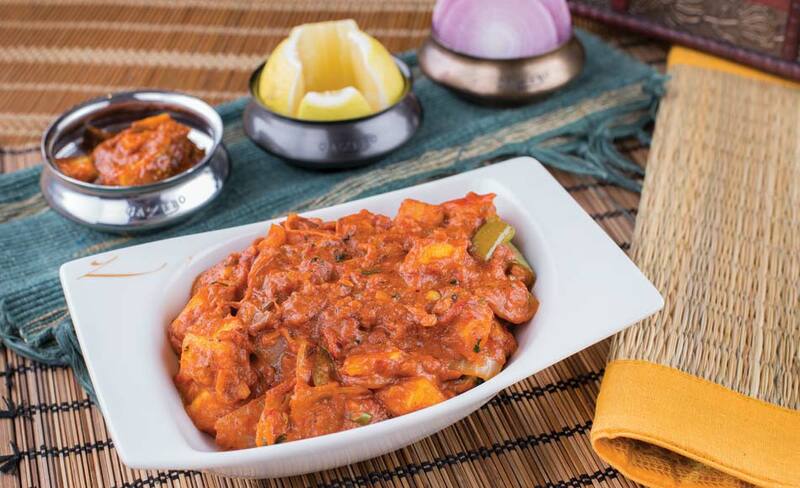 Boneless pieces of chicken in a spicy masala of red chillies, onion, coriander, tomato and garam masala. Chargrilled chicken simmered in butter and cream speckled tomato gravy. Succulent boneless chicken marinated in yoghurt and spices cooked in a onion and tomato based gravy flavoured with garlic and cumin, garnished with boiled egg. 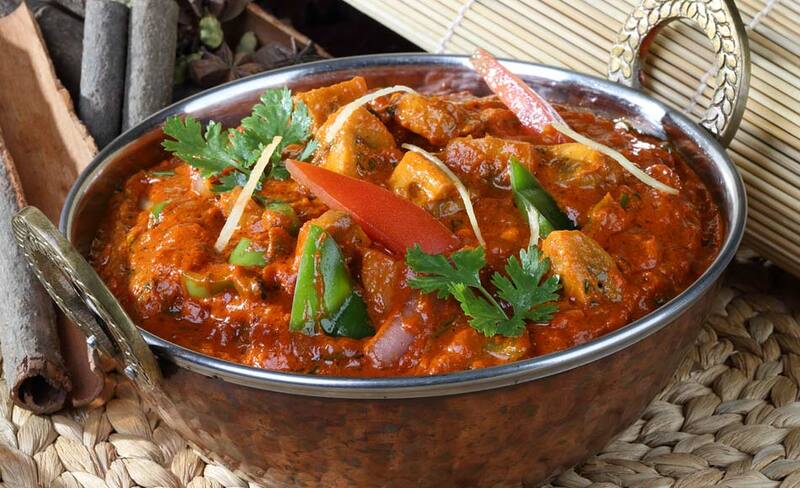 Chicken pieces stewed with onions, fresh herbs, and spices in a thick tomato based gravy prepared in wok. 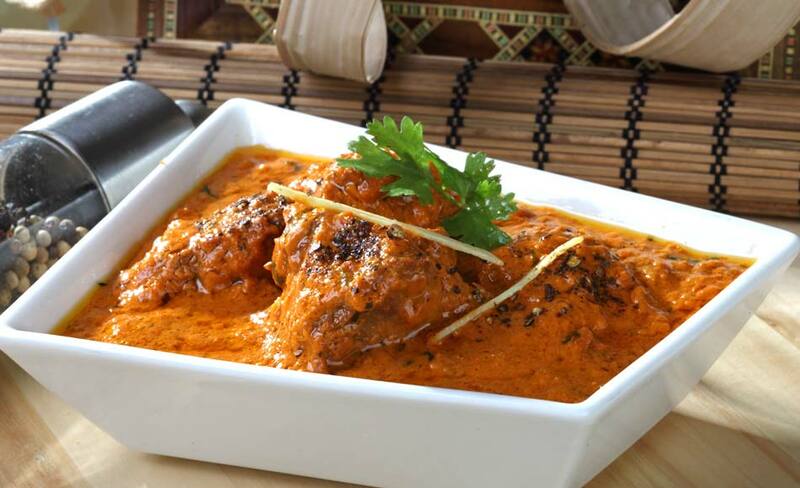 Tender chicken cooked in a rich tomato based gravy delicately flavoured with spices, chilli powder and cream. 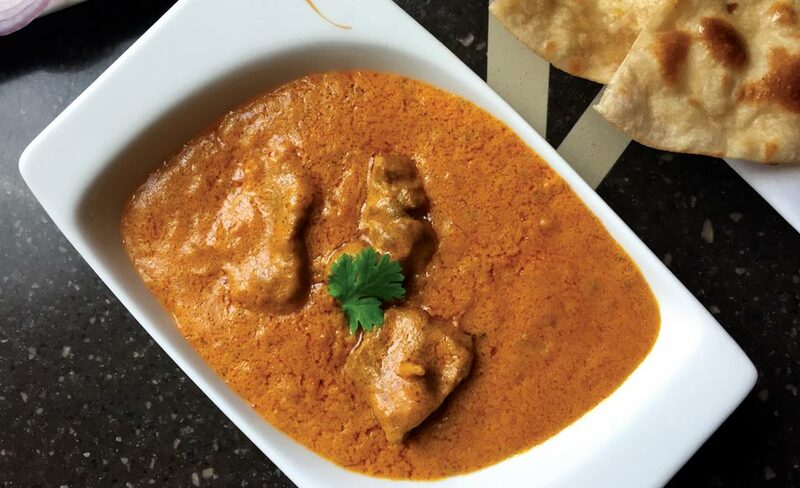 Chicken pieces cooked in onion, and tomato based gravy with spices. 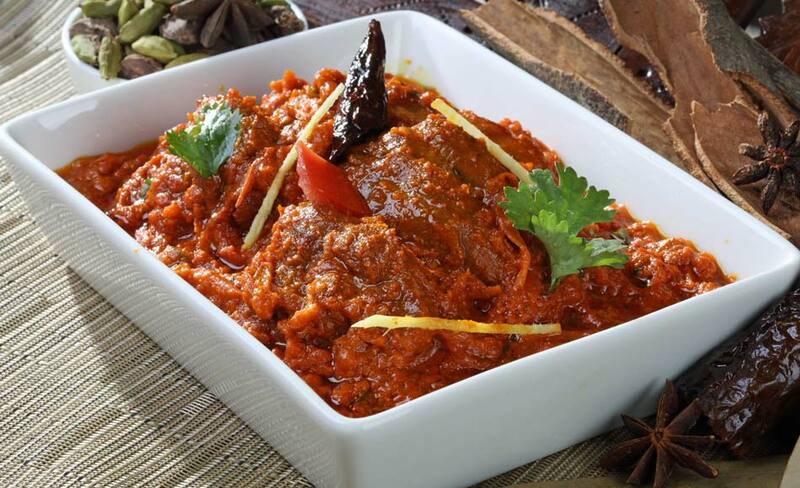 Grilled soft pieces of mutton tikka in an onion, cashew and tomato based gravy flavoured with Indian spices. 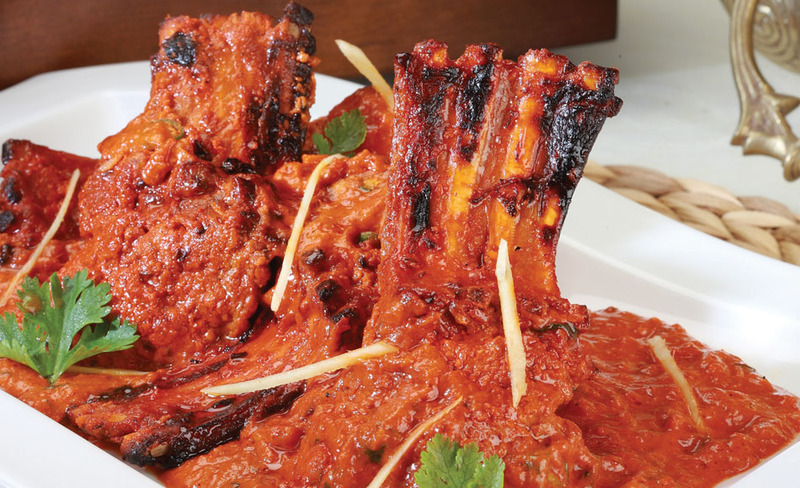 Tender lamb chops cooked with garam masala, ginger garlic paste, yoghurt, spices and brown onion paste finished with saffron and kewda dissolved in milk. 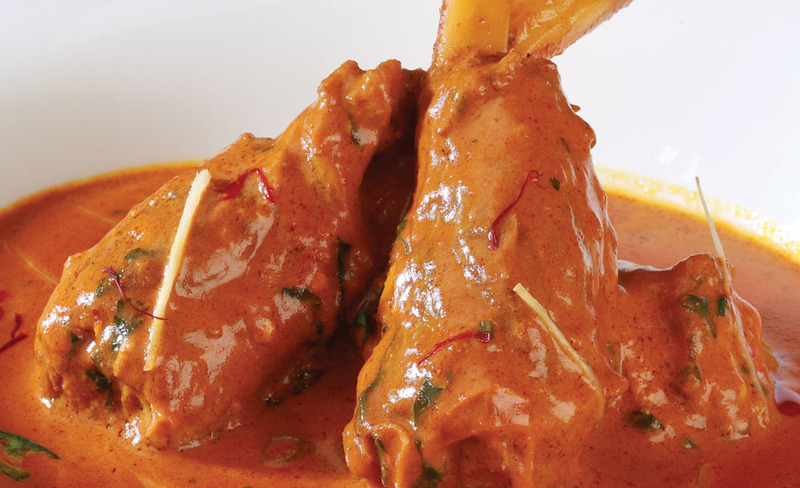 Shanks of baby lamb, braised in subtly infused herbal and aromatic potli masala with selected spice blend. 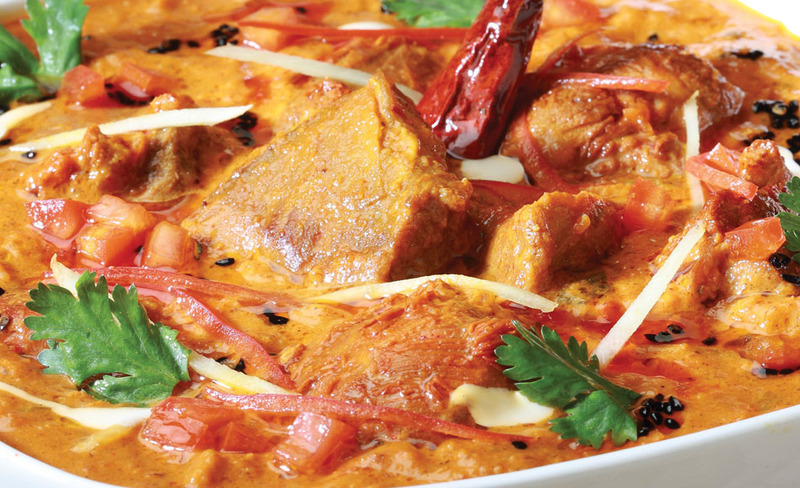 Lamb cubes cooked in saffron tinted sauce of yoghurt, coconut milk, caramelised onion and cashew. 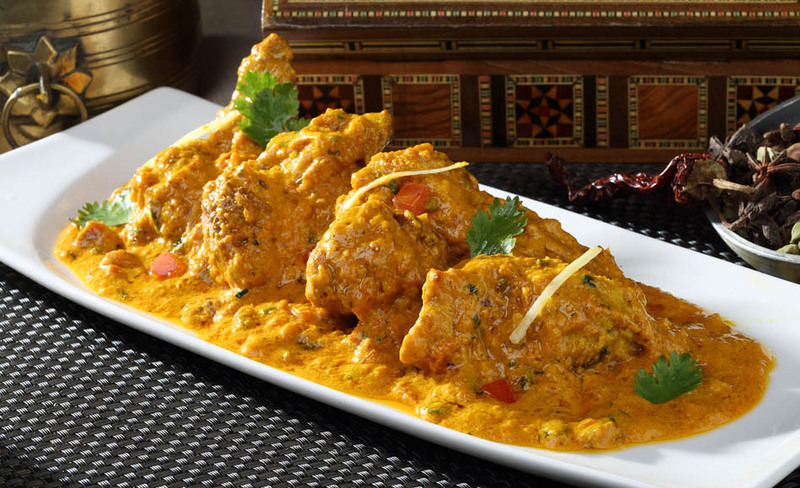 Lamb escallops cooked in yoghurt paste of ginger, garlic onions and cashewnuts, finished with garam masala and spices. 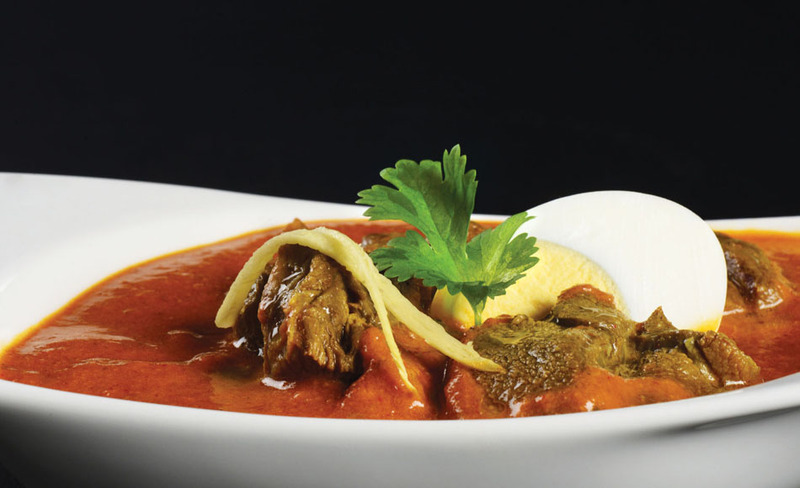 Pieces of mutton with bone cooked with fried onion, red chillies, pounded garam masala and tomatoes. 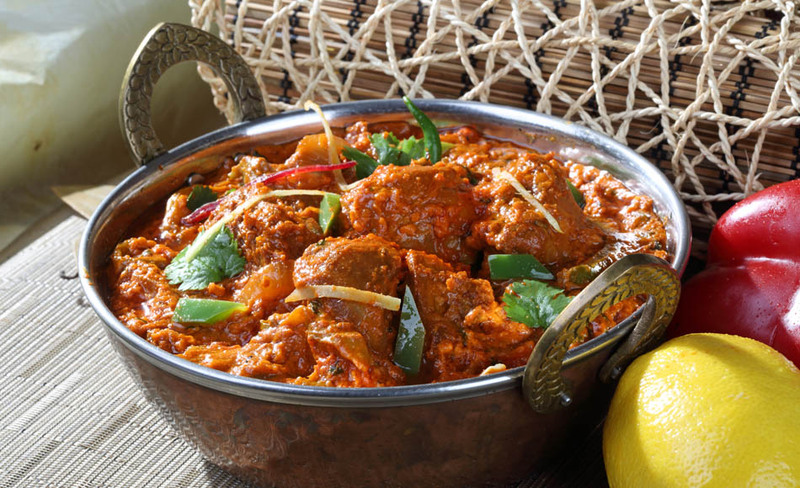 Mutton curry with whole spices, garlic, cloves, ginger, batons, chillies and red onion cooked on slow fire. 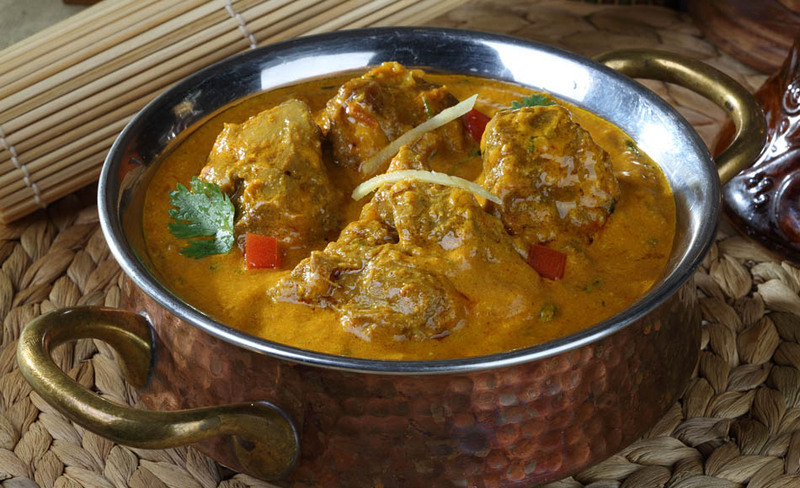 Tender boneless cubes of mutton medium spiced with a tempering of mustard, fennel and curry leaves napped in a sauce of sundried tomatoes and tamarind. 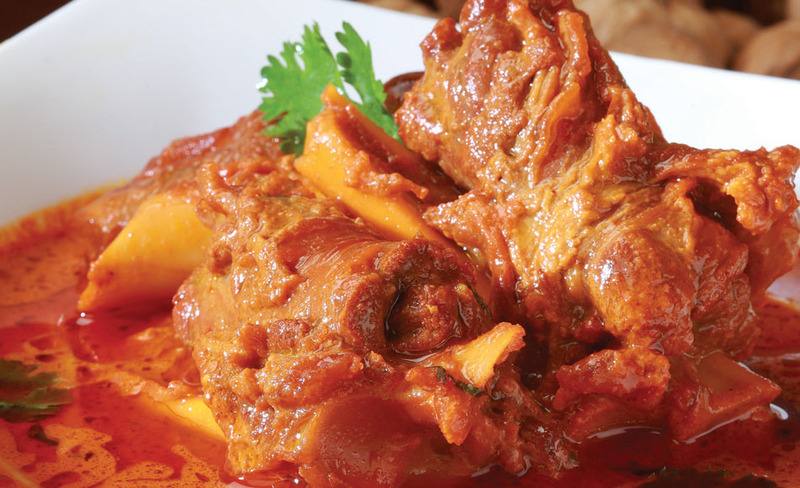 Bhuna is a process of stirring and browning the spices and meat.Tender mutton cubes stirred with onions, tomato, ginger garlic paste and red chili powder. 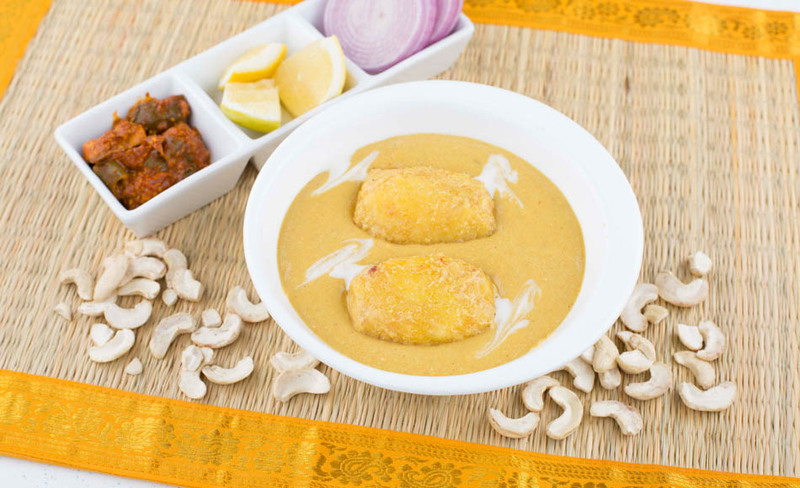 Boneless pieces of mutton cooked in onion and cashew based gravy delicately flavoured with ginger garlic paste and crushed black pepper corn. 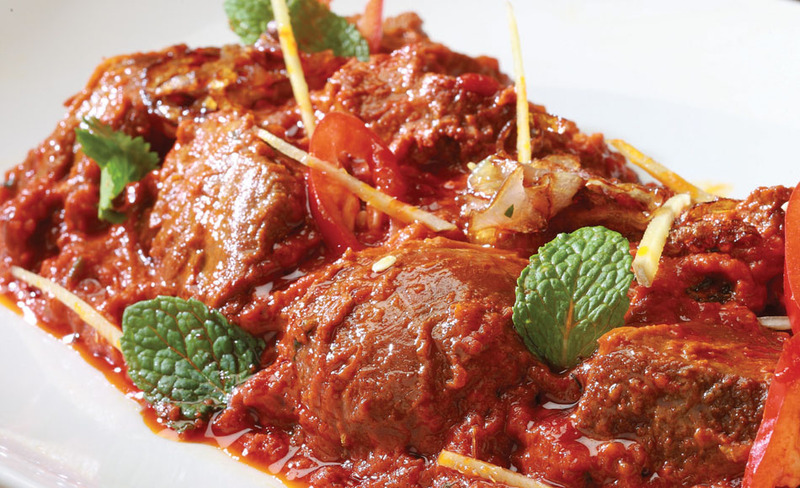 Boneless pieces of mutton cooked with capsicum, onion, green chillies, tomatoes, flavoured with pepper corns and garam masala. 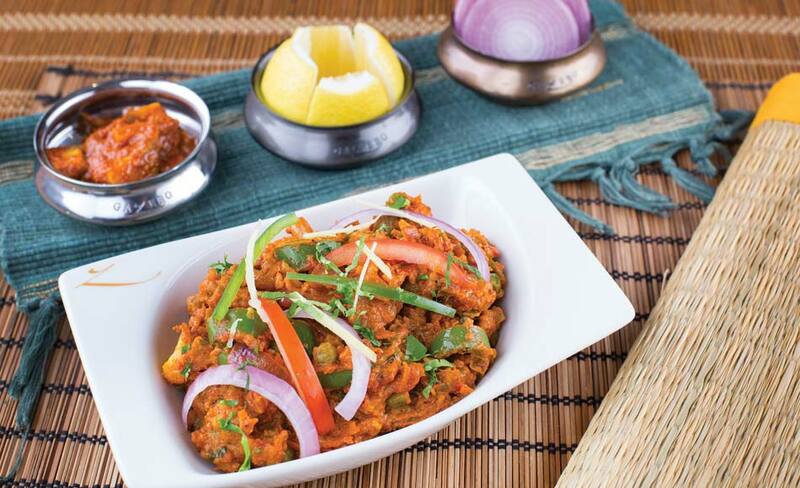 Tender boneless cubes of mutton flavoured with onions, red chillies, yoghurt and potli ka masala. 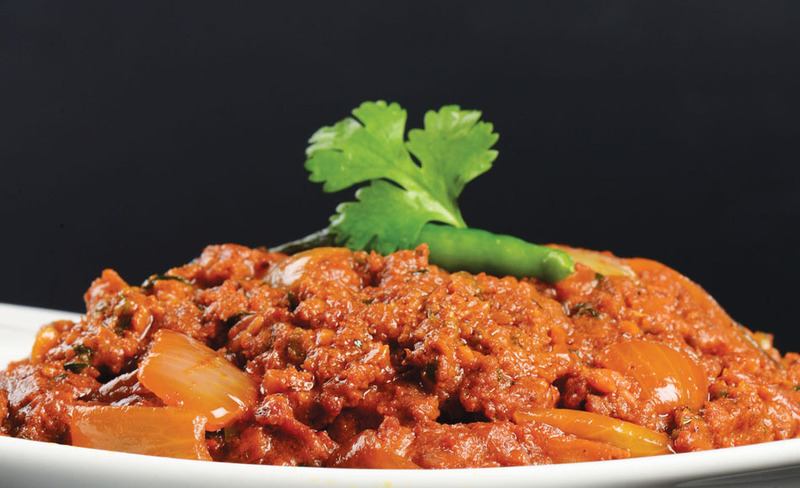 Mince meat cooked with onions, ginger, garlic, chillies, curd, garam masala and lime juice. 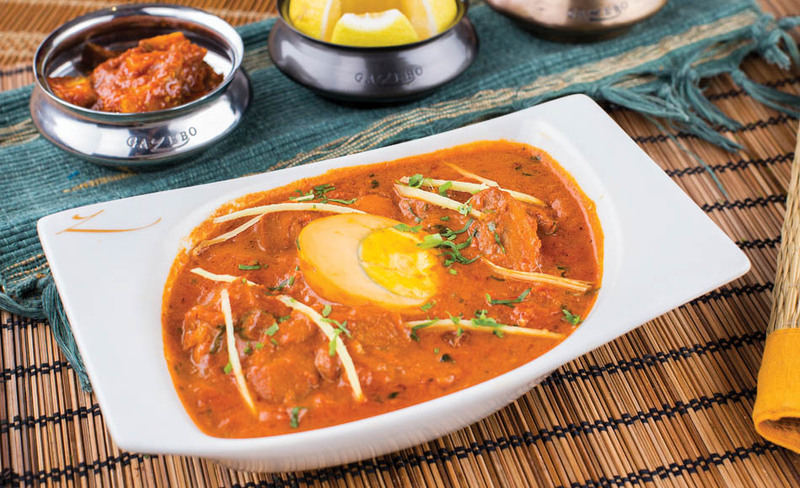 Boneless cubes of mutton cooked in a gravy made of onions, tomatoes, yoghurt, ginger garlic paste and spices. 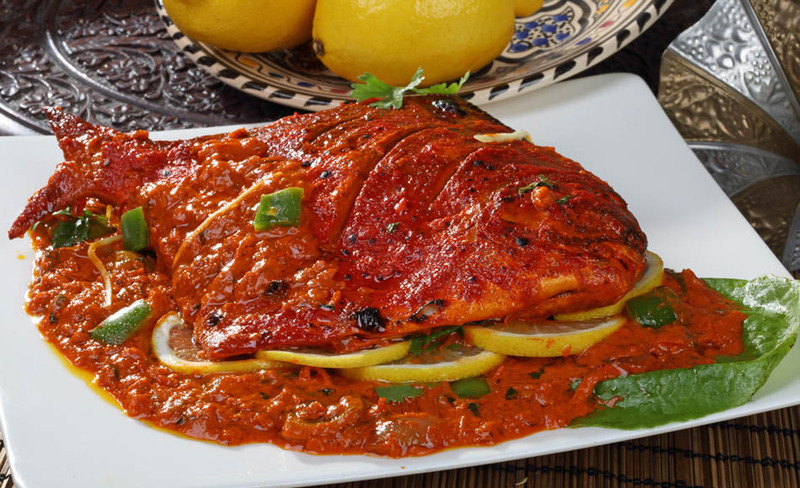 Whole pomfret marinated grilled laced with tomato based masala made tangy with pomegranate and drenched with pepper. 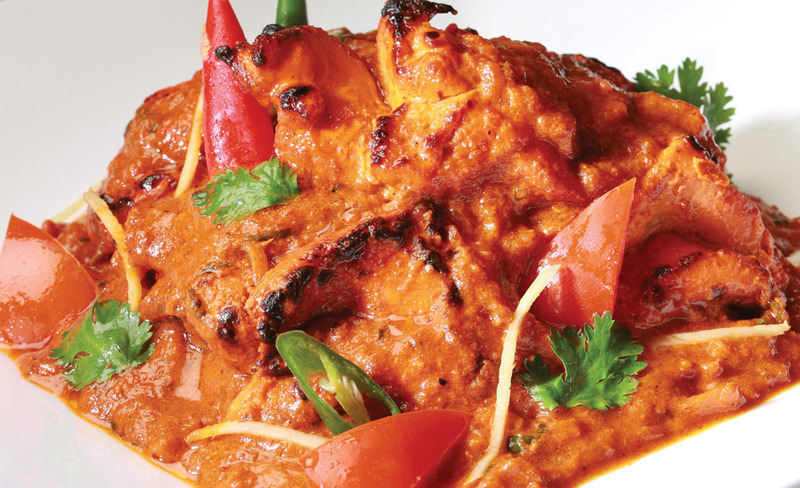 Grilled hammour/pomfret tikka laced with an exotic gravy of onion, tomato and cashewnuts. 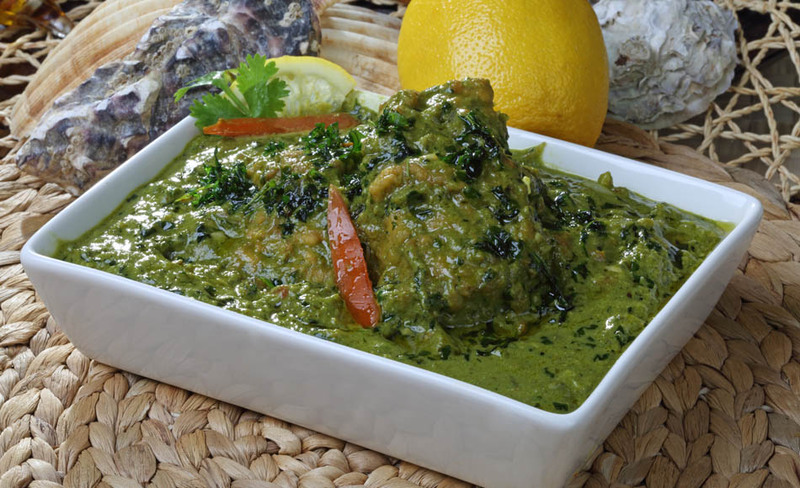 Fillet of hammour/pomfret cooked in a tomato gravy. 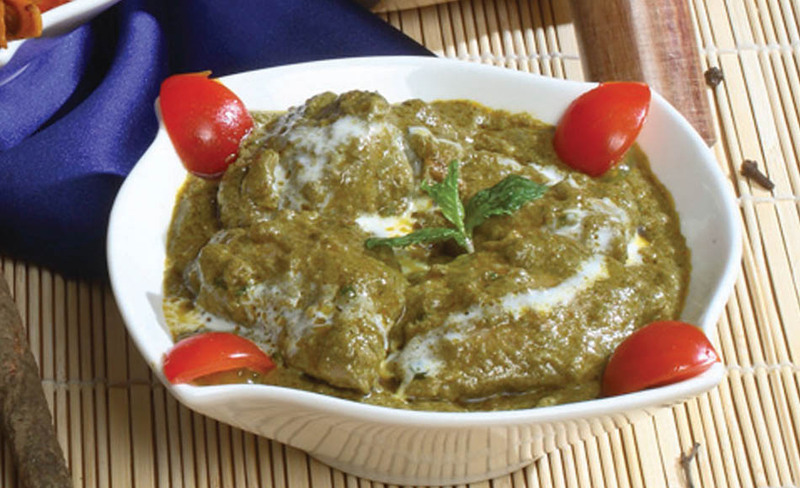 Fillet of hammour/pomfret cooked in a onion and curd based gravy flavoured with spices and fried fenugreek leaves. 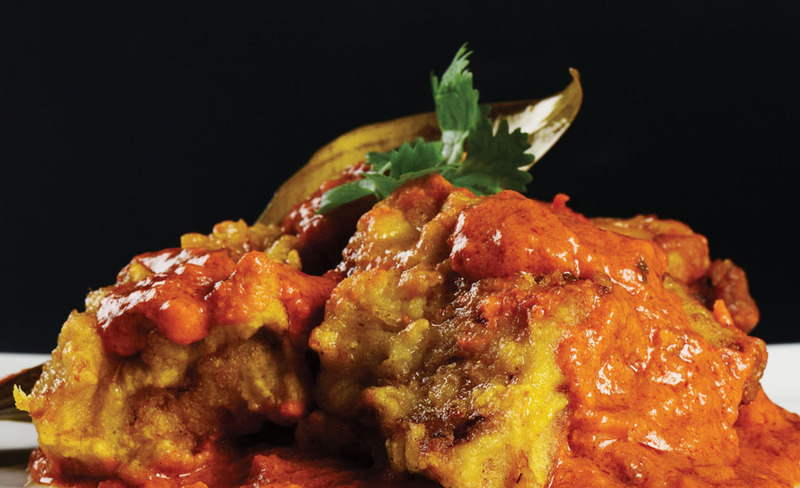 Fillet of hammour/pomfret cooked in gravy of onion tomato coarsely and spices. 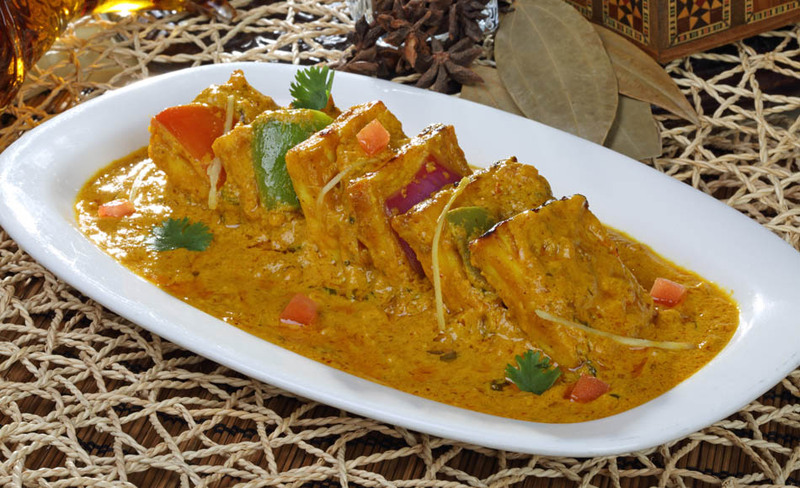 Cubes of hammour/pomfret cooked in mustard and curry leaf tempered tomato and coconut gravy. 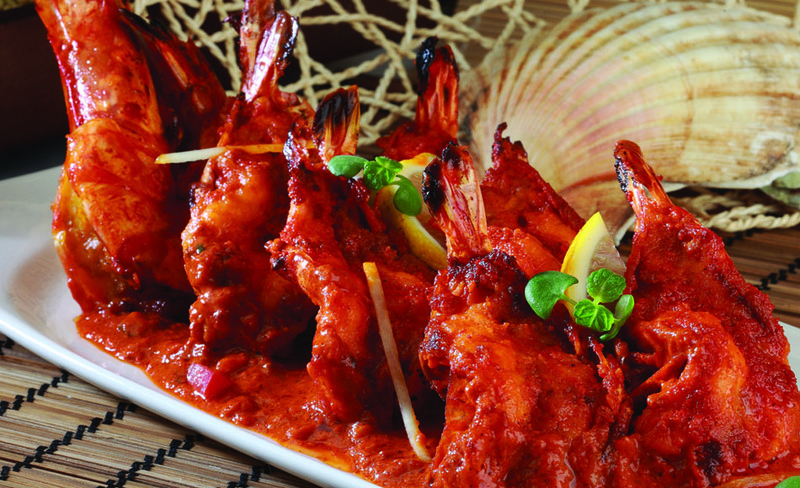 Grilled jumbo prawns cooked in a rich tomato and cashew gravy with spices. 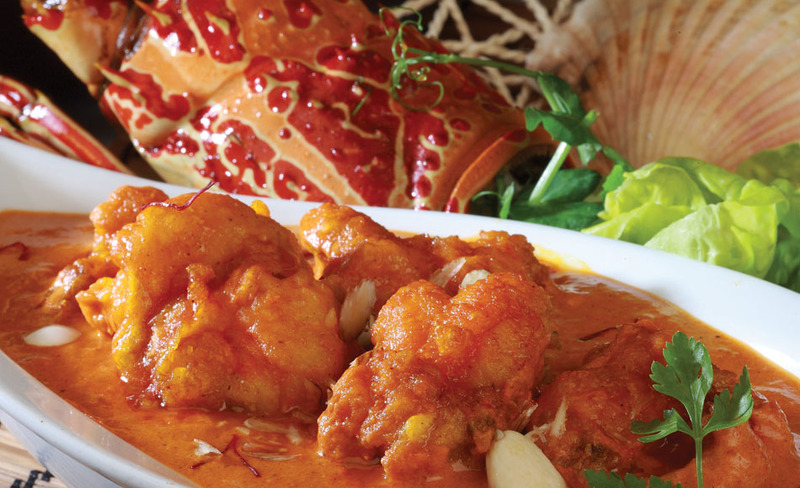 Succulent juicy prawns cooked in a tomato based gravy spiced with herbs. 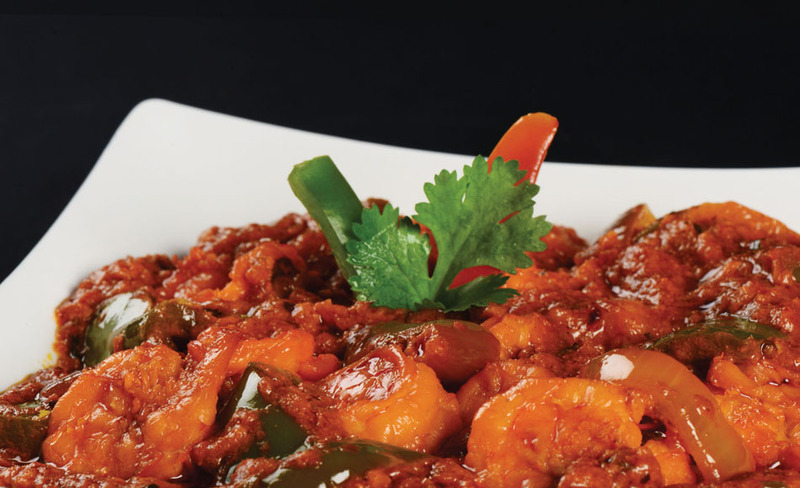 Prawns stirfried with bell peppers, spring onion and tomatoes spiced with green chillies and black pepper. 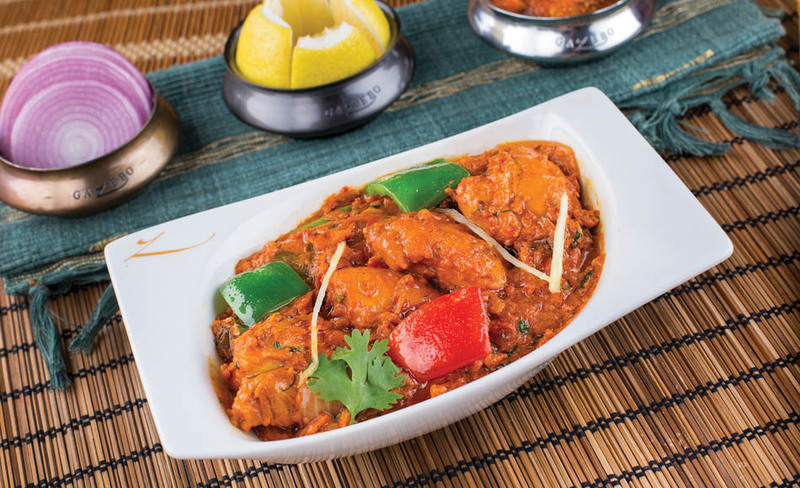 Succulent juicy prawns marinated in exotic spices and cooked with onion and tomatoes in its own juices. 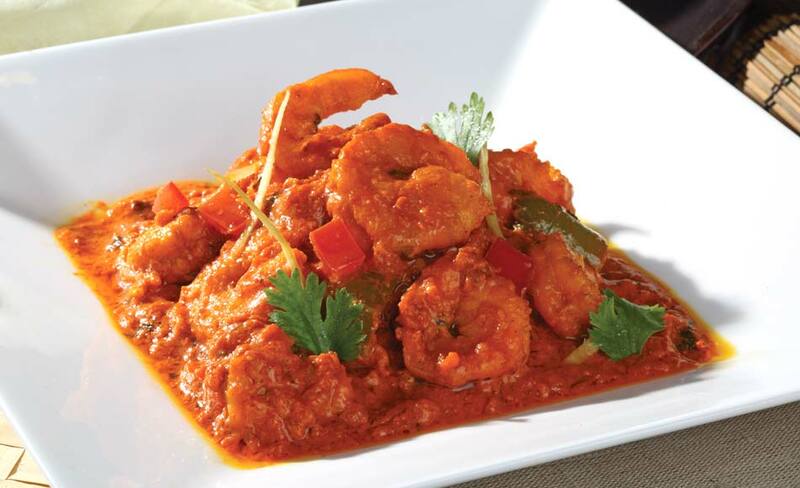 Succulent juicy prawns cooked with spices, yoghurt, tomatoes, onions, ginger, garlic and dried red chillies. Plum prawns cooked in a gravy of onions, tomatoes, garlic, cream and mild chilli on a griddle. 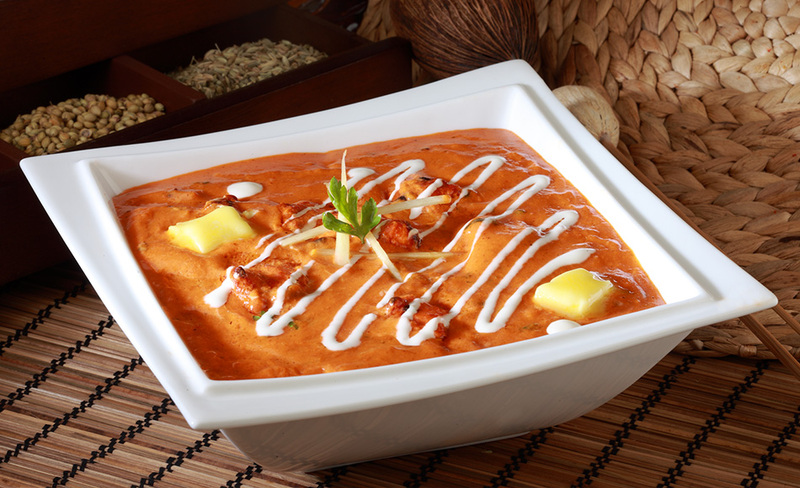 Cubes of lobster cooked in a smooth creamy and refined curry of yoghurt, fresh cream and paste of water melon seeds along with spices. 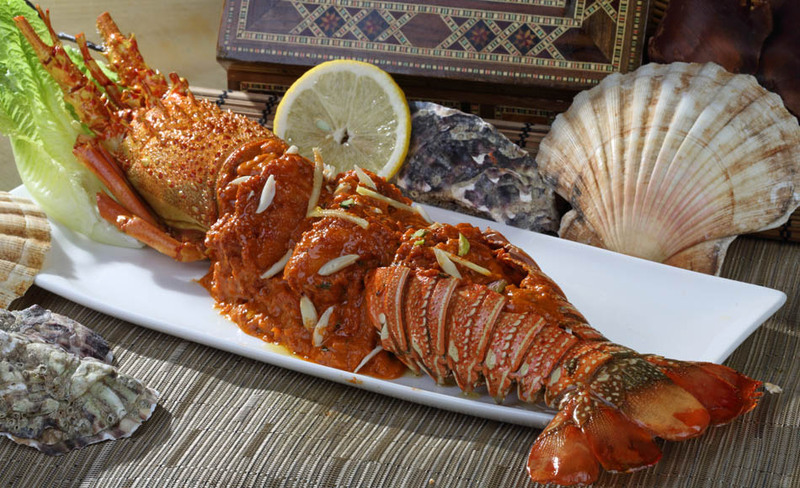 Lobster pieces cooked in a tomato gravy spiced with green herbs. 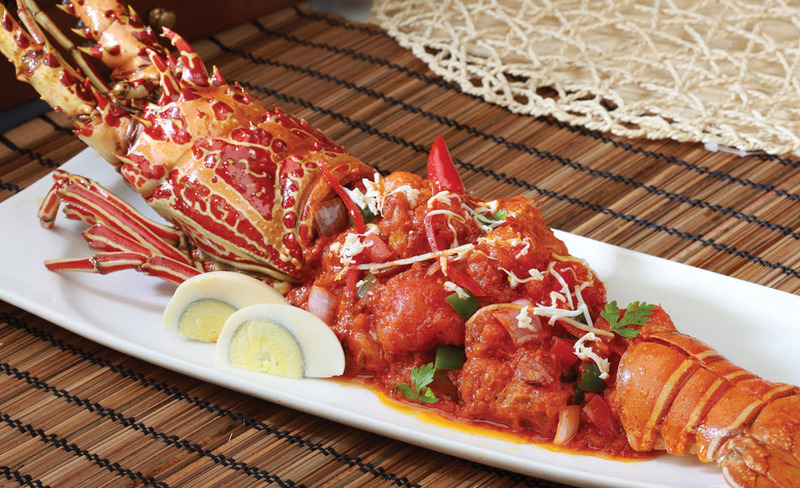 Lobster stir fried with bell pepper, spring onion and tomatoes, spiced with black pepper. 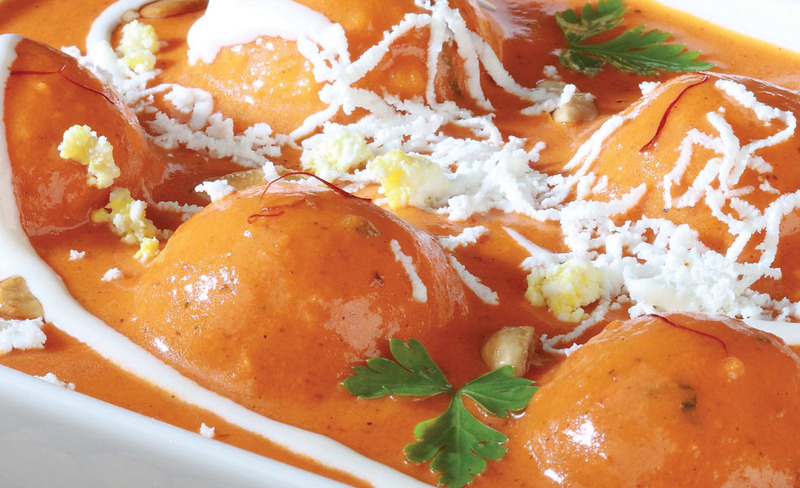 Cottage cheese tikkas laced with a gravy made of tomato, cashewnut and yoghurt delicately spiced. Veg. 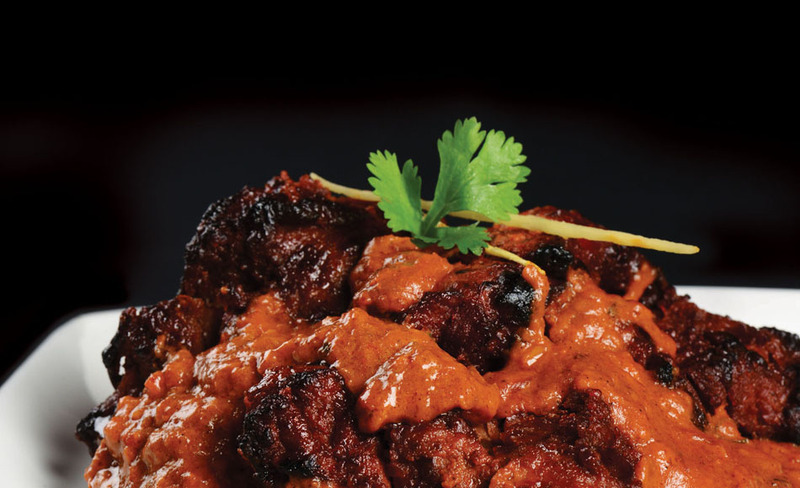 seekh kabab, braised in caramelised shallot and tomatoes, spiced sauce, enhanced with khoya. Mouth melting spinach stuffed cottage cheese roundels in a tomato gravy with tempering infused with butter. 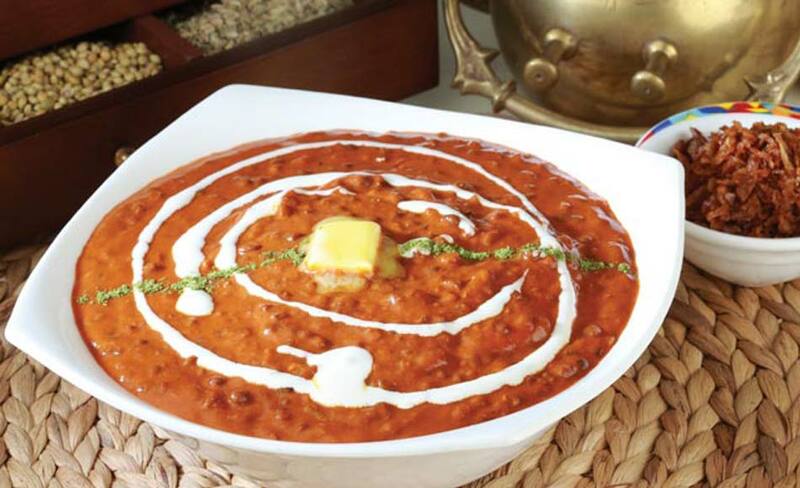 Chopped cottage cheese tempered with spices cooked with chopped onion, tomatoes and green chillies. 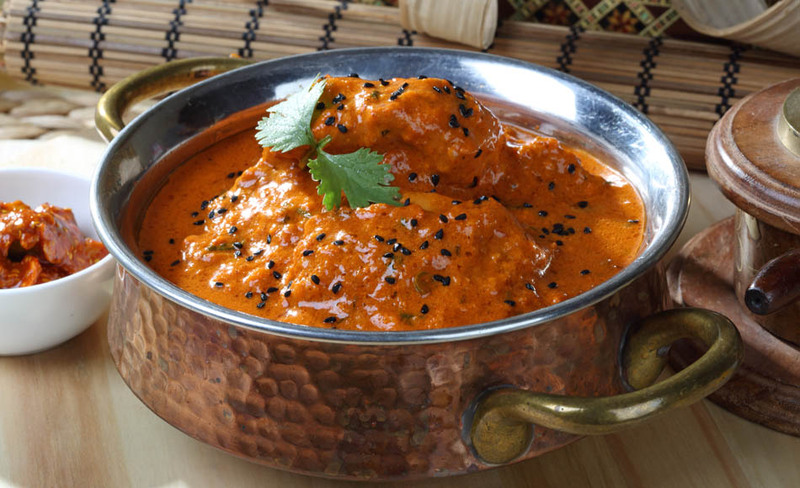 Grated cottage cheese with cream cheese matured in fenugreek and black sesame seed sauce. Fresh cottage cheese stirfried with bell pepper, cherry, tomatoes, spring onion and seasoned with black pepper. 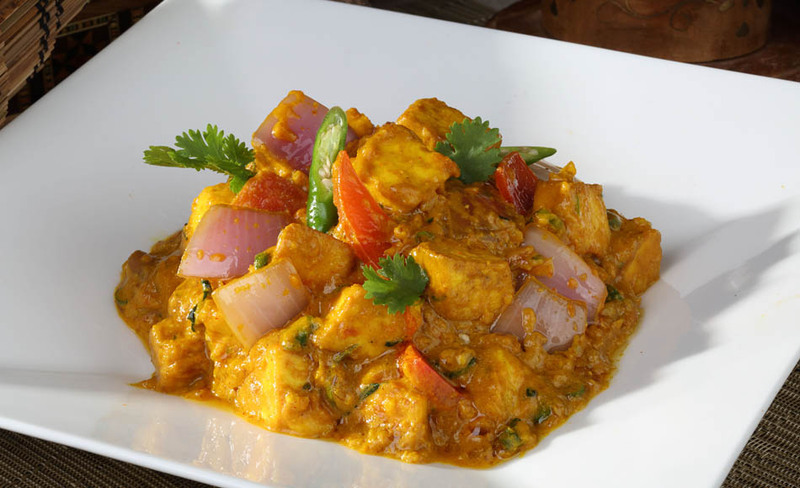 Fried cottage cheese pieces tempered with cumin and spices tossed with cubes of onion in tomato gravy. 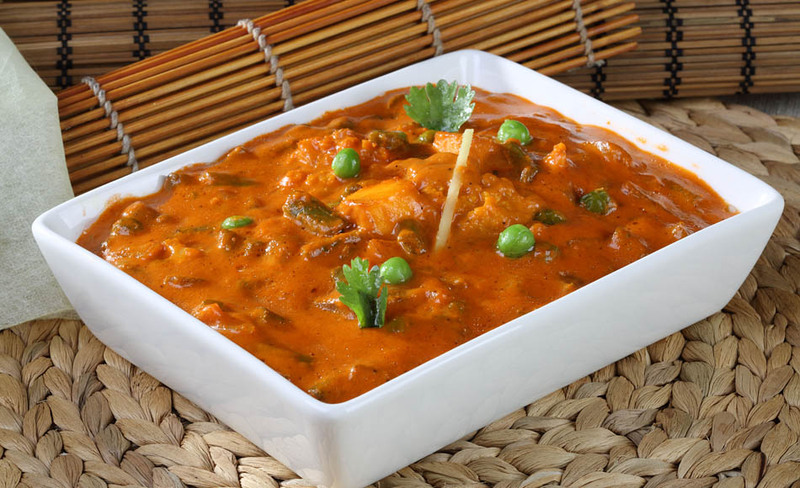 Fresh mushrooms, green peas, cubes of cottage cheese in a medium spiced silky brown gravy. Cubes of cottage cheese, onions, tomatoes and capsicum in a sweet and sour sauce. 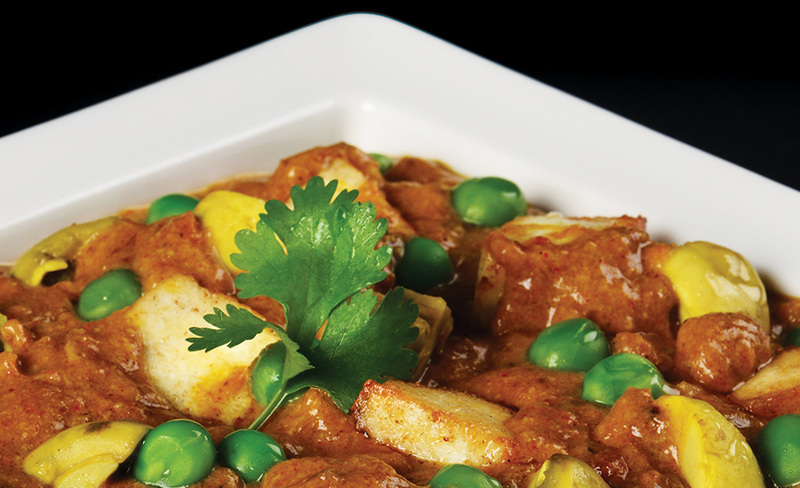 Cubes of cauliflower, beans, carrot & green peas cooked in a tomato based gravy infused with butter. 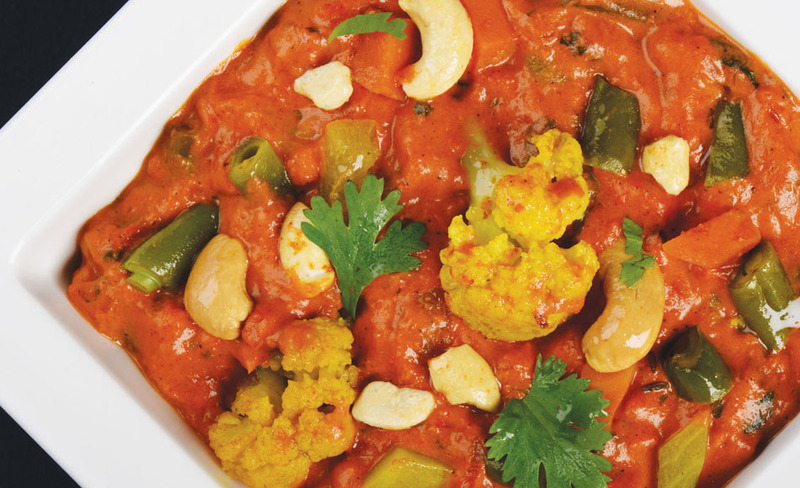 Garden fresh vegetable and mushrooms braised in caramelised shallot and tomatoes spiced sauce enhanced with saffron juice and khoya. 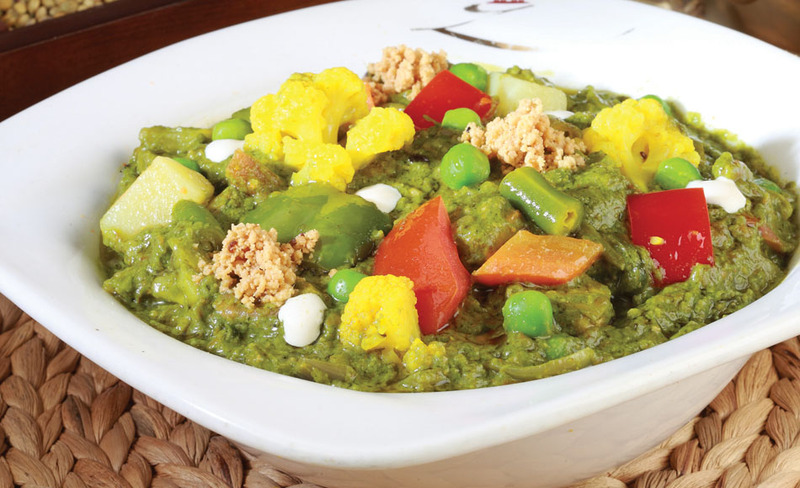 Fresh mix vegetables, cottage cheese, green peas and garden fresh spinach finished with garam masala. 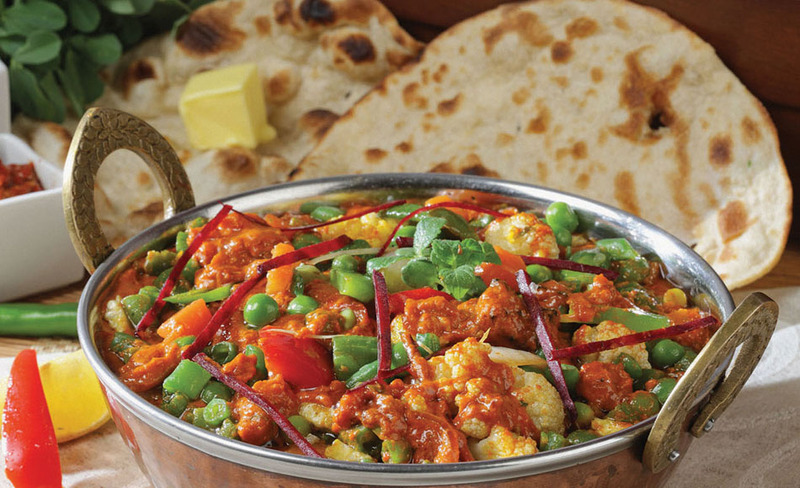 Diced seasonal fresh vegetables tempered with onions, garlic-ginger, tomatoes and Indian spices. Sauteed garde n fresh spinach, mix veg, cottage cheese, greenpeas and mushrooms cooked with Indian spices. 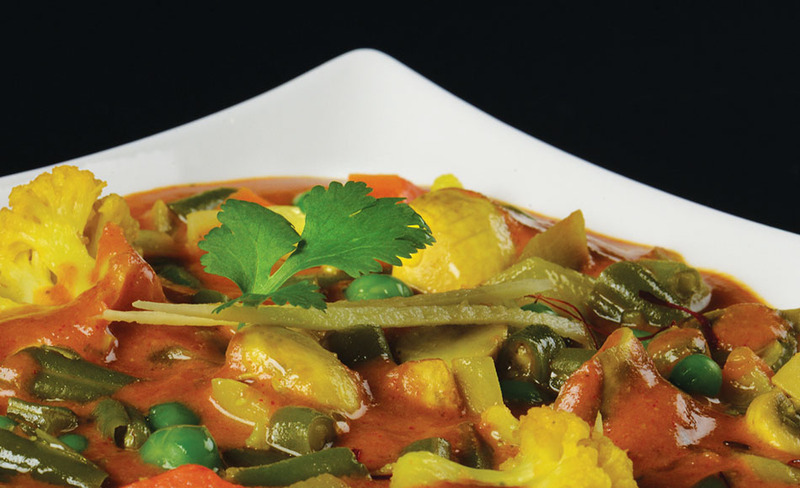 Garden fresh vegetables stewed with onions, tomatoes, green chillies and ginger slices cooked with kadai masala. 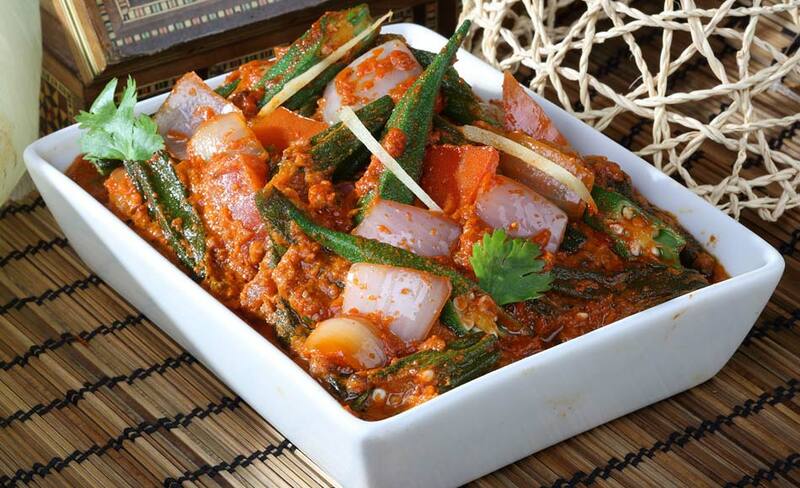 Blend of fresh garden vegetable in a hot and spicy red chilli sauce tempered with curry leaves. 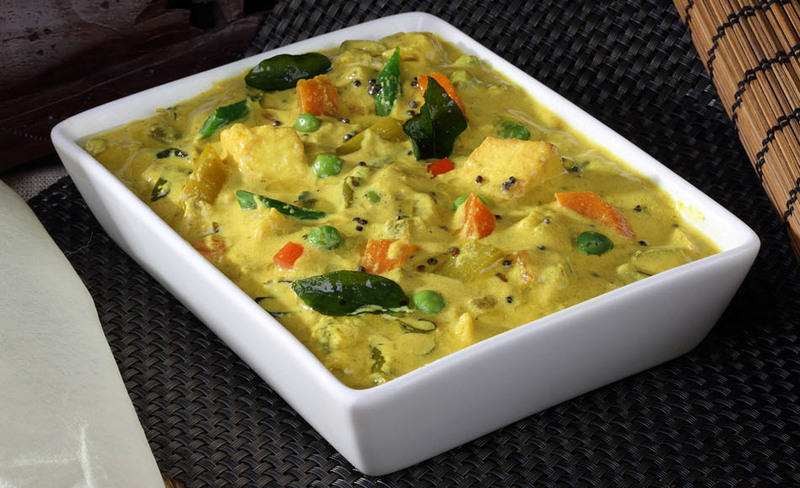 Assorted vegetables cooked in a cashewnut gravy with butter, cream garnished with dry fruits. Button mushrooms stirfried with bell pepper, cherry, tomatoes, spring onions and seasoned with black pepper. 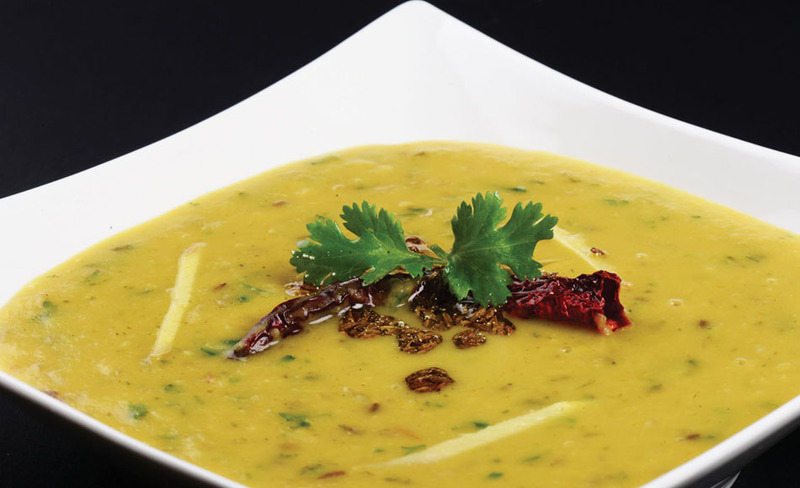 Fresh babycorn cooked with onion, pepper, tempered with red chillies and cruhsed coriander seeds. 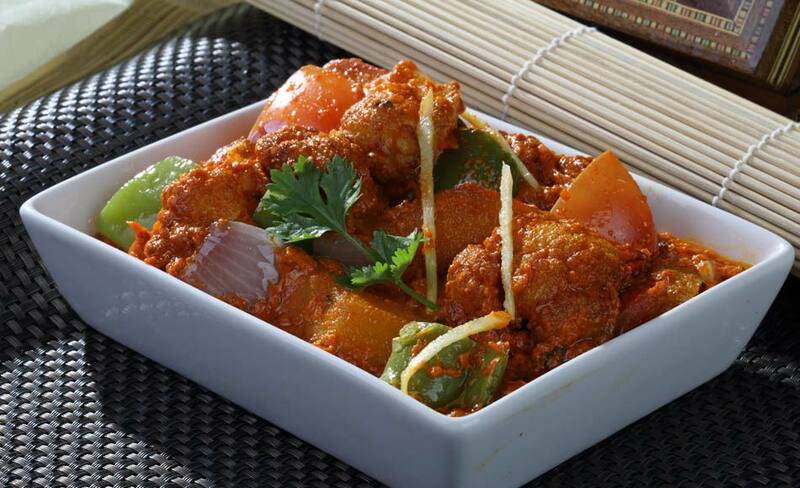 Spices marinated deep fried ladies finger tempered with cumin tossed with cubes of onion in a tomato gravy. 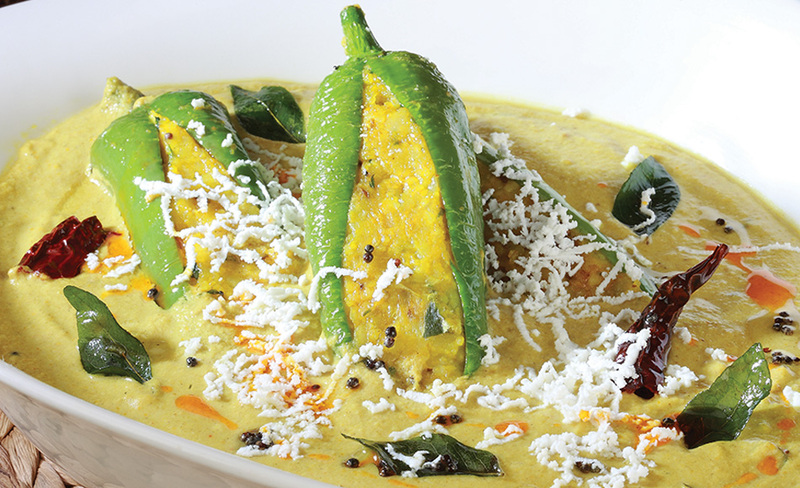 Stir fried stuffed green chillies in a special sauce of sesame seed, peanut, and coconut with spices. Roundels of mashed potato and paneer stuffed with cheese, nuts and raisins cooked in a mixture of onion and cashewnut gravy. 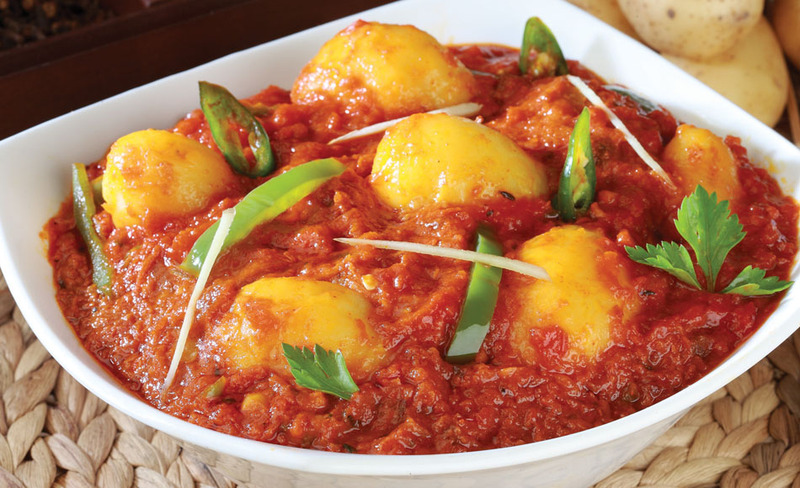 Baby potatoes cooked in a tangy sauce of tomatoes, yoghurt, red chilli powder, ginger garlic paste and flavoured with fenugreek powder. 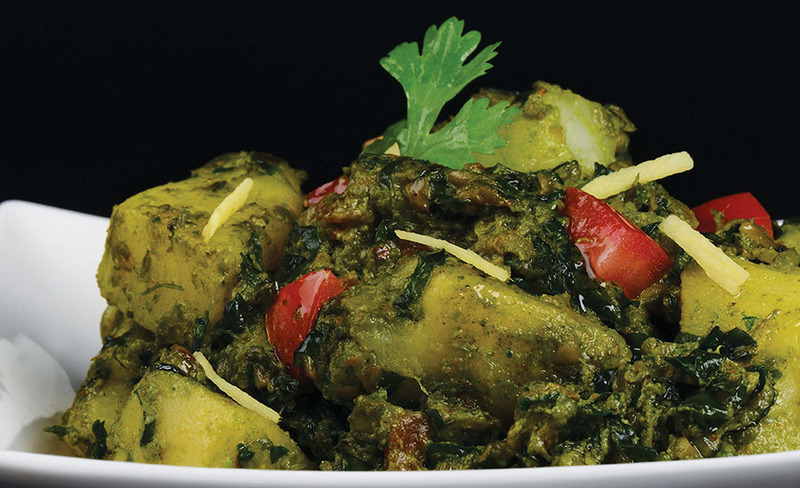 Paste of spinach cooked with diced potatoes tempered with spices. 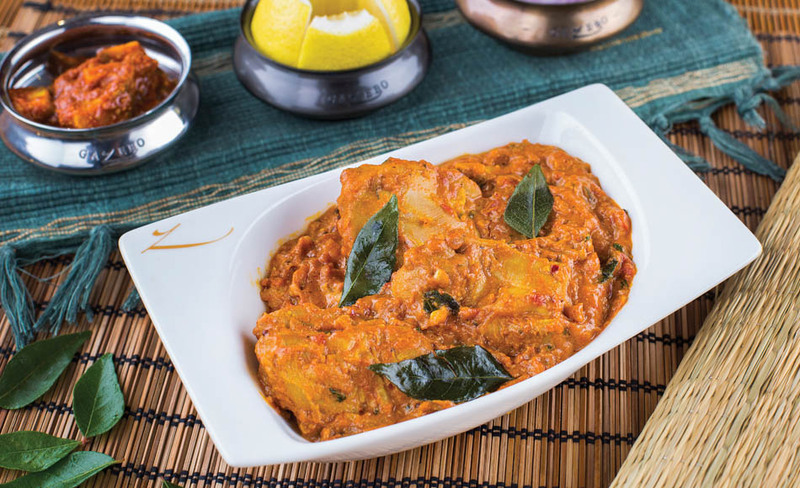 Baby potatoes cooked in a pickle flavour, medium spiced with a tempering of mustard, fennel and curry leaves napped in a sauce of sundried tomatoes and tamarind. 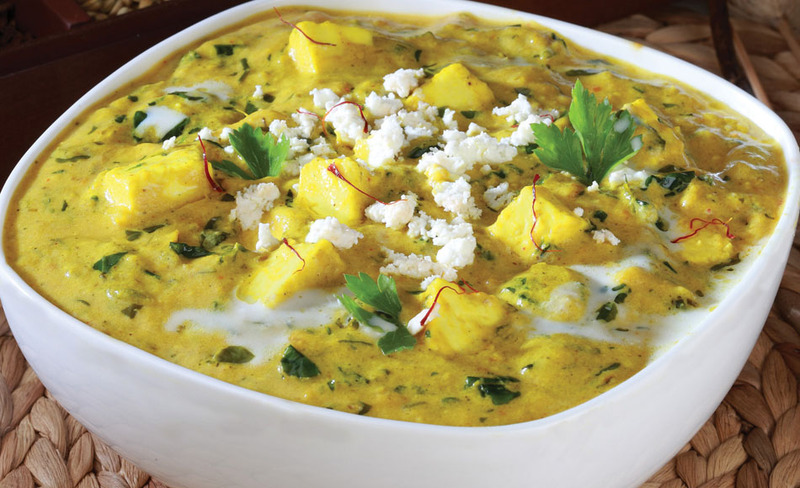 Diced potato tempered with curry leaves, cumin and chillies. 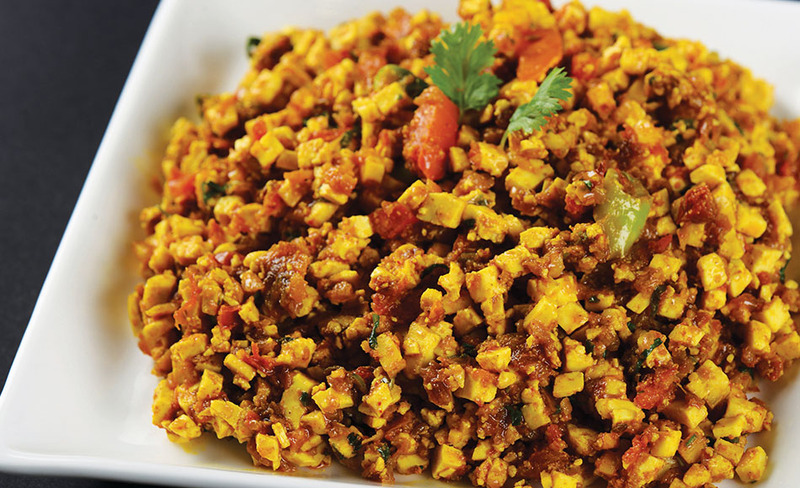 Sauteed with fried fenugreek..
Diced potatoes and florets of cauliflower tossed with cubes of onion, tomatoes, chillies flavoured wth ginger. Fresh mustard leaves paste cooked with onion and tomatoes, tempered with spices and green chillies finished with butter. 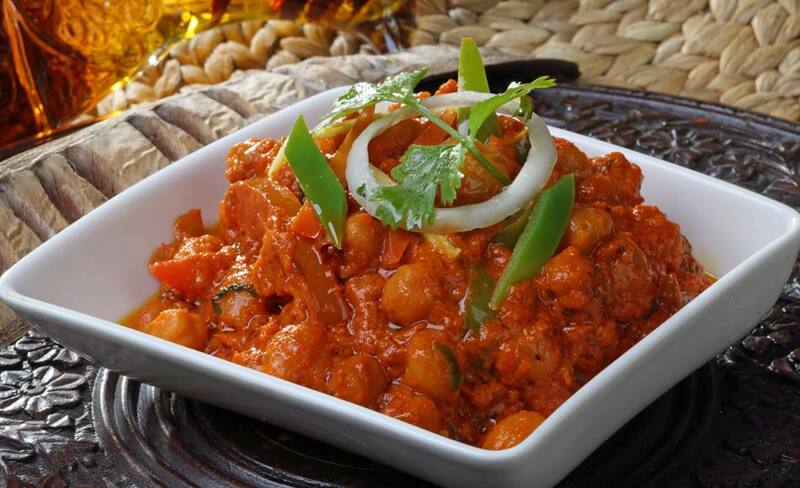 Chick peas tempered with onions, cumin seeds, red chillies, turmeric powder, garam masala, kadai masala and green chillies. Patiently cooked whole urad lentils with tomatoes, and home churned butter. Split yellow lentils cooked with spinach tempered with cumin,garlic, tomatoes and green chilli. 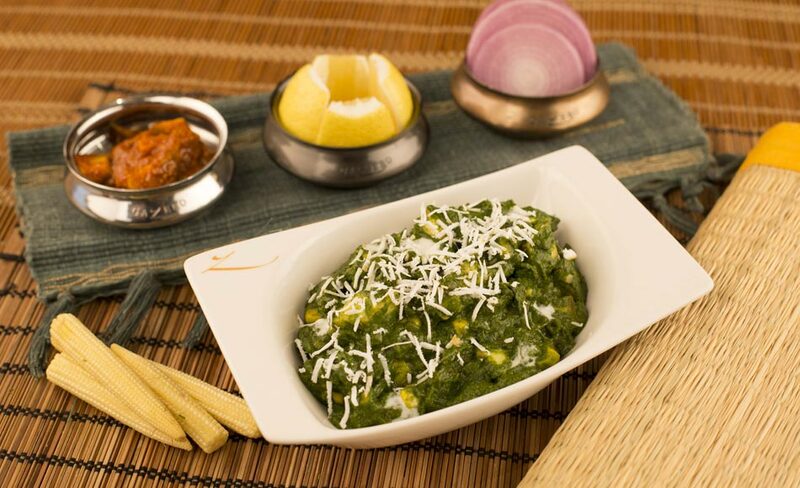 Spinach paste cooked with fried cottage cheese and fresh corn tempered with spices.